Play on Pedals spent last Wednesday with women and children from Al-Meezan, an Islamic Community Centre in the Drumbreck area of Glasgow. Al-Meezan caters for a huge variety of groups and users, from mother and toddler sessions, a creche, prayer groups and educational classes for women and young people. The non-profit organisation recently secured funding from the Climate Challenge Fund to improve the centre’s carbon emissions and develop some sustainable transport initiatives. 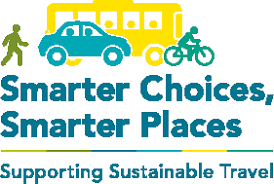 A survey carried out by the staff at the centre made it clear that not many users were taking to the roads on bikes, choosing instead to use their cars for almost all journeys. Play on Pedals has therefore started work with the climate challenge team and other volunteer mothers, training them as instructors to deliver the games and activities to their children attending the nursery. Last week, we met with volunteers for a morning in Bellahouston Park, followed by an afternoon in their large multipurpose hall with lots of children. The children were so excited to be getting on their bikes and having a whizz around the hall and it was great to have mothers there watching these first steps with their children. We will be heading back to Al-Meezan next week to have a look at more games and activities that volunteers can introduce to the nursery children but in the meantime, here are some lovely photos from the day.